Featuring a deluxe synthetic leather finish, high quality flannel interior with soft velvet lining. Great idea to keep rings,earrings, necklaces and bracelets,you can also put lipstick,nailclippers and other small makeup tools.It's perfect for travel. 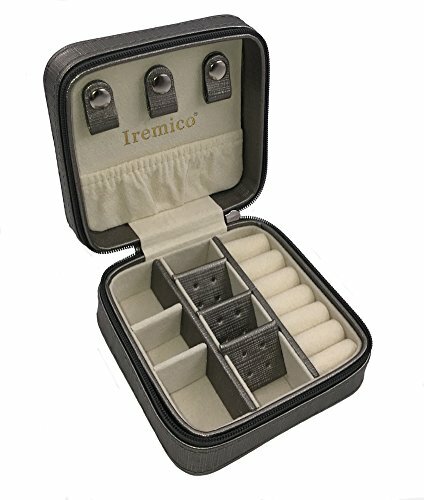 This travel jewelry case is perfect for smaller form jewelry. Jewelry stays SECURE around the ultra-soft felt material of this specially-designed jewelry holders.